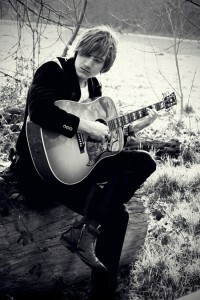 Rising British singer-songwriter-guitarist Lee MacDougall, who first arrived on U.S. shores in February, has just completed his second multi-city American tour and is already set for a return in spring, 2012. Next stop for the personable artist will be a show in his hometown of London and a return visit to Germany, followed by shows supporting Atlantic Records artist Rumer on her multi-city U.K. tour. MacDougall’s “All The Right Places” tour, which comprised nearly three dozen shows in August and September, wrapped last week at New York’s famed Bitter End nightspot, followed by the taping of the nationally-syndicated television program, BetterTV. Over the course of the tour, he made appearances on numerous local television programs in various markets, including taping a session for Season 2 of “All Jack’d Up” on Dallas’ CBS11, which will air this fall. Originally from the fishing town of Grimsby in the north of England, MacDougall emerged from the open mic night circuit in London that has spawned new acoustic English artists in the last two years. His ability to couple a strong lyrical narrative with a memorable melody has enabled him to establish an international fan base. Upcoming Lee MacDougall dates include: October 21-Regal Room, London; 21-Radio Oriente, Karlsruhe, Germany; 28-Kellerclub, Stuttgart; 29-Kino Atlantis, Munich; November 3-Café Steinbruch, Duisburg, Germany; 4-Petit Papillion, Dusseldorf; 10-Blackpool Opera House, Blackpool (supporting Rumer); 11-Royal Concert Hall, Glasgow, Scotland (supporting Rumer); 12-Sheffield City Hall (supporting Rumer); 13-Newcastle City Hall (supporting Rumer) and 15-O2 Apollo, Manchester (supporting Rumer). MacDougall is slated to tour Europe in January and February and return to the U.S. in early March, 2012, beginning with a series of shows in Texas and the southeast. A SPECIAL NOTE FROM THE MAC WIRE CONTRIBUTOR ANNE M. RASO: We were lucky enough to catch up with Lee at his recent Bitter End show in NYC and we notice that each time he plays there, the crowds get bigger and the line to meet Lee in the back by his merch table gets longer! So be sure to catch him while the frenzy is building because soon he will be playing in BIG places where you won’t get the op to get up-close and personal with him! We have posted a couple of live pics from that show here. A special shoutout to Lee’s publicist and longtime friend Sharon Weisz of W3 Communications and Phil’s manager Phil Taylor–who also brought the wonderful acoustic singer/songwriter Bobby Long stateside a couple of years back. 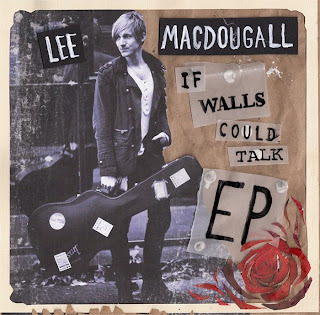 British singer-songwriter-guitarist Lee MacDougall, the newest artist to emerge out of London’s burgeoning acoustic movement, is set for his first tour of the U.S. beginning February 25 in New York City. The tour will criss-cross the country over a two-month period and will include MacDougall’s debut appearance at the SxSW Festival in Austin in March. Additionally, noted producer Jim Lowe (who has worked with the Stereophonics, Taylor Swift and the Charlatans, among others) has produced several tracks with Lee, including the version of “She” that is currently available from iTunes as part of a three-song EP he released last summer. 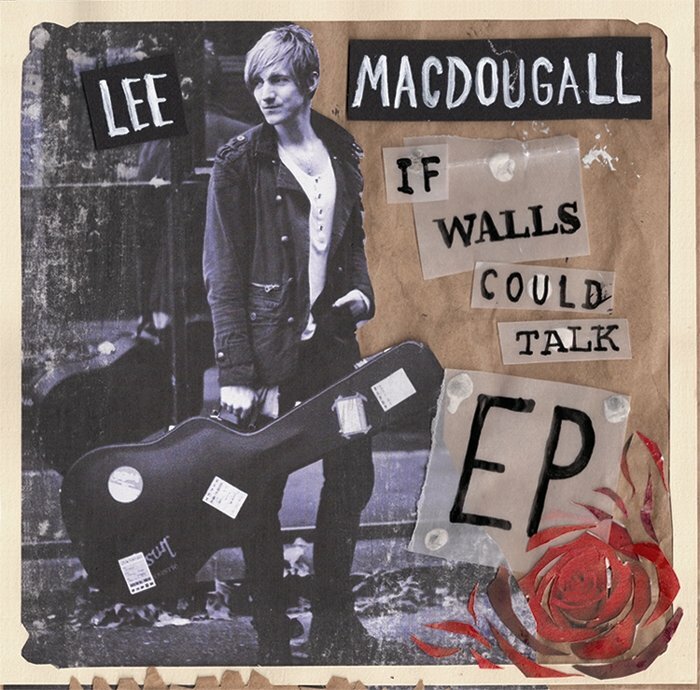 An acoustic rendition of the song produced by Lee appears on If Walls Could Talk.